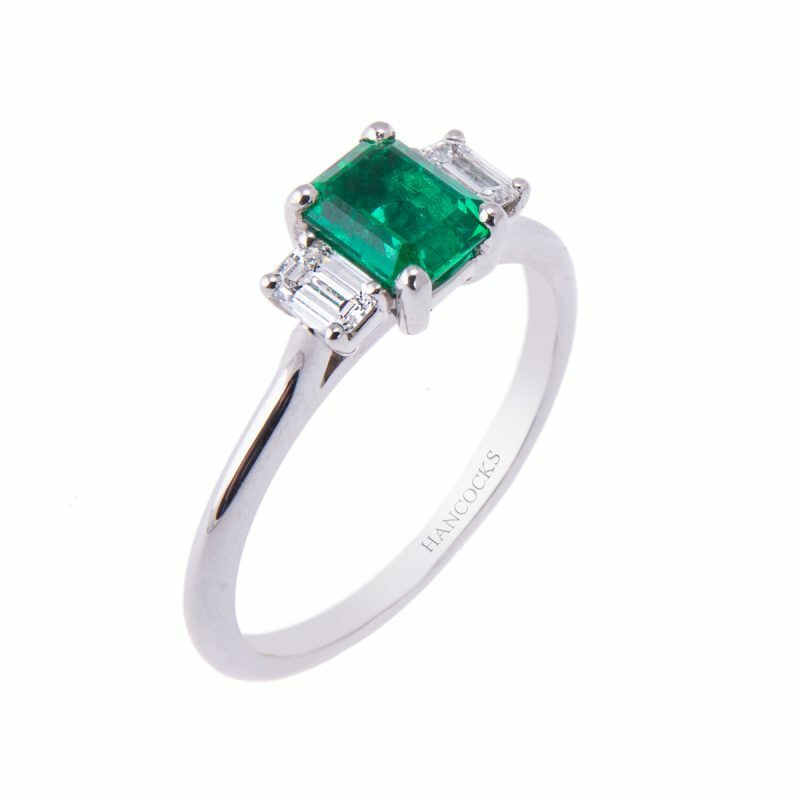 Enjoy the elegance and classic styling of this beautiful oval cut emerald set with 2 brilliant cut diamonds, each held in a secure platinum 4-claw setting with plain tapered shank. 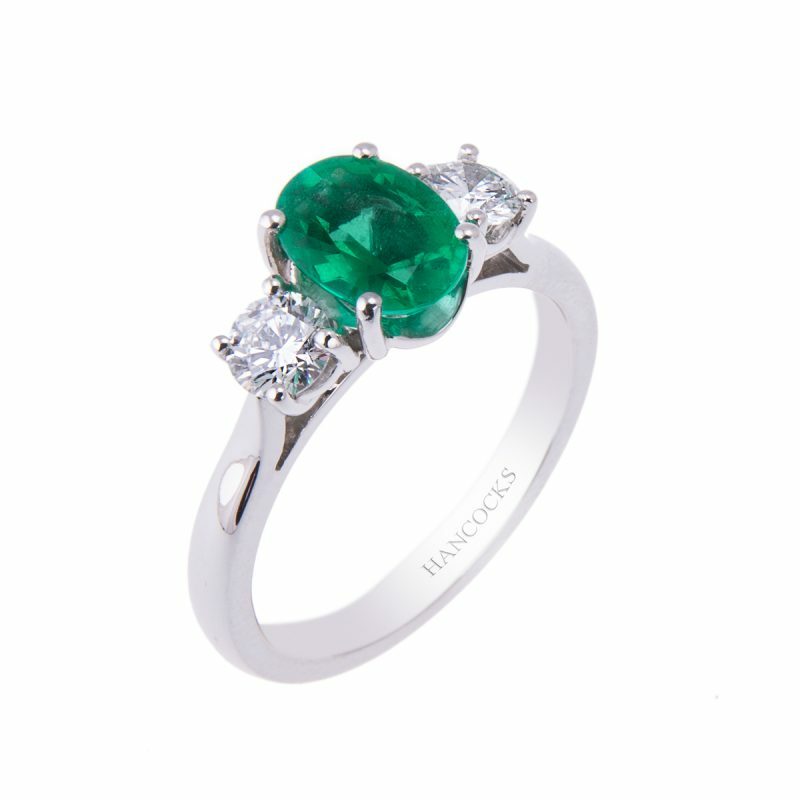 The cleaver design of this ring allows it to fit comfortably next to any Hancocks wedding band. 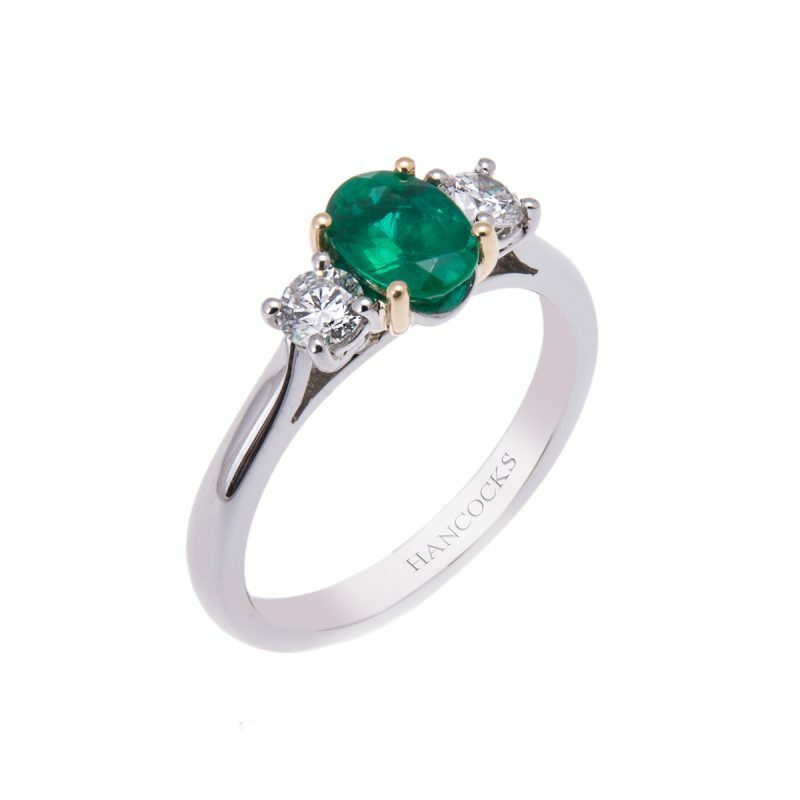 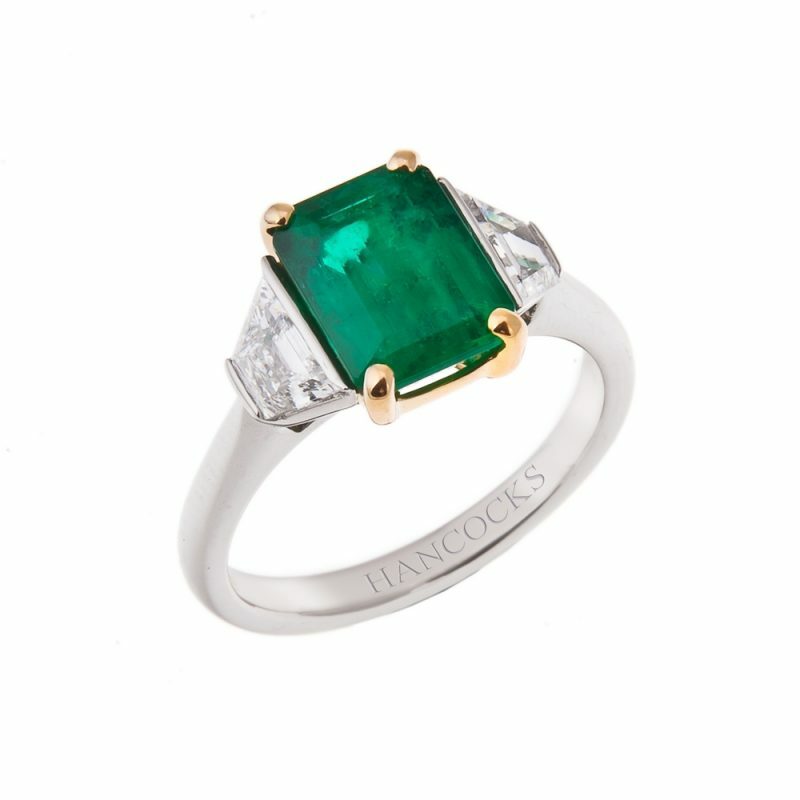 This fine emerald has a strong vivid green colour with lots of depth, neither too dark or too pale, with an even distribution of colour through the stone.